This Ram won't be on the lot long! Very clean and very well priced! It includes power seats, automatic temperature control, heated steering wheel, and voice activated navigation. Under the hood you'll find an 8 cylinder engine with more than 350 horsepower, and for added security, dynamic Stability Control supplements the drivetrain. Four wheel drive allows you to go places you've only imagined. We have a skilled and knowledgeable sales staff with many years of experience satisfying our customers needs. They'll work with you to find the right vehicle at a price you can afford. We are here to help you. 1500 Laramie Demo, Laramie Demo, You won't want to miss this excellent value! Demo Vehicle! Demo vehicles are lightly used with extremely low miles and are in like new condition! A durable pickup truck seating as many as 5 occupants with ease! Top features include leather upholstery, voice activated navigation, a bedliner, and power seats. It features four-wheel drive capabilities, a durable automatic transmission, and a powerful 8 cylinder engine. You will have a pleasant shopping experience that is fun, informative, and never high pressured. Please don't hesitate to give us a call., Power Sunroof,Bucket Seats,1 Yr. Trial,Remote Proximity Keyless Entry,Tow Hooks,115V Auxiliary Power Outlet,Folding Flat Load Floor Storage,Integrated Voice Command w/Bluetooth,Trailer Tow Mirrors,GPS Antenna Input,Remote USB Port,Media Hub,Uconnect Access,Wheel to Wheel Side Steps,SIRIUSXM Satellite Radio,Leather Trimmed Bucket Seats,Full Length Upgraded Floor Console,Engine: 5.7L V8 HEMI MDS VVT,5-Year SIRIUSXM Travel Link Service,HD Radio,Ventilated Front Seats,4-Corner Air Suspension,Rear 60/40 Split Folding Seat,Heavy Duty Engine Cooling,Radio: Uconnect 8.4 NAV,GPS Navigation,Tires: P275/60R20 OWL AS,Anti-Spin Differential Rear Axle,Hemi Badge,High Back Seats,Active Grille Shutters,Uconnect Access 1 Year Trial,Tip Start,Single Disc Remote CD Player,3.92 Rear Axle Ratio,Power 10-Way Memory Driver and 6-Way Passenger Seats,Transfer Case Skid Plate Shield,SIRIUSXM Travel Link,Engine Oil Heat Exchanger,LED Bed Lighting,Quick Order Package 26H Laramie,Electronically Controlled Throttle,Keyless Go,Trailer Tow Mirrors and Brake Group,Front Suspension Skid Plate,ParkSense Front/Rear Park Assist System,Protection Group,5-Year SIRIUSXM Traffic Service,32 Gallon Fuel Tank,Auto High Beam Headlamp Control,Bright Rotary Shifter,Heated Steering Wheel,Rain Sensitive Windshield Wipers,Trailer Brake Control,Transmission: 8-Speed Automatic,Convenience Group,Remote Start System,Power Chrome Trailer Tow Mirrors,Rear Window Defroster,Heated Front Seats,Spray In Bedliner,Electronic Shift,Heated Second Row Seats,Audio Jack Input for Mobile Devices,50 State Emissions,8.4' Touchscreen Display,SIRIUSXM Traffic You won't want to miss this excellent value! Demo Vehicle! Demo vehicles are lightly used with extremely low miles and are in like new condition! A durable pickup truck seating as many as 5 occupants with ease! Top features include leather upholstery, voice activated navigation, a bedliner, and power seats. It features four-wheel drive capabilities, a durable automatic transmission, and a powerful 8 cylinder engine. You will have a pleasant shopping experience that is fun, informative, and never high pressured. Please don't hesitate to give us a call. 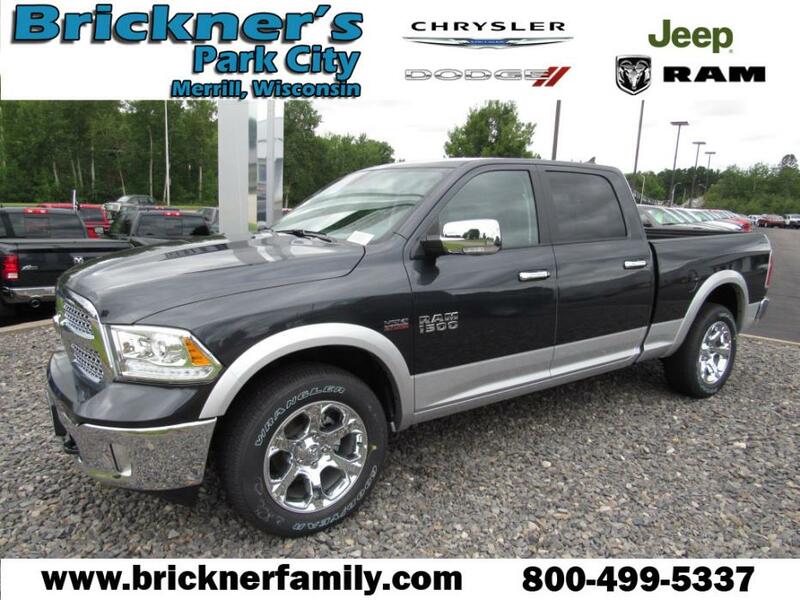 1500 Laramie, Laramie, 2016 Dodge Ram 1500 Laramie 4WD., Power Sunroof,Bucket Seats,1 Yr. Trial,Remote Proximity Keyless Entry,115V Auxiliary Power Outlet,Tow Hooks,Folding Flat Load Floor Storage,Integrated Voice Command w/Bluetooth,GPS Antenna Input,Trailer Tow Mirrors,Media Hub,Uconnect Access,SIRIUSXM Satellite Radio,Leather Trimmed Bucket Seats,Full Length Upgraded Floor Console,Engine: 5.7L V8 HEMI MDS VVT,5-Year SIRIUSXM Travel Link Service,HD Radio,Ventilated Front Seats,Rear 60/40 Split Folding Seat,Radio: Uconnect 8.4 NAV,GPS Navigation,Anti-Spin Differential Rear Axle,High Back Seats,Uconnect Access 1 Year Trial,Power 10-Way Memory Driver and 6-Way Passenger Seats,SIRIUSXM Travel Link,Transfer Case Skid Plate Shield,LED Bed Lighting,Quick Order Package 26H Laramie,Keyless Go,Trailer Tow Mirrors and Brake Group,Front Suspension Skid Plate,ParkSense Front/Rear Park Assist System,Protection Group,5-Year SIRIUSXM Traffic Service,32 Gallon Fuel Tank,Auto High Beam Headlamp Control,Rain Sensitive Windshield Wipers,Trailer Brake Control,Transmission: 8-Speed Automatic,Convenience Group,Remote Start System,Power Chrome Trailer Tow Mirrors,Heated Front Seats,Spray In Bedliner,Front and Rear Rubber Floor Mats,Heated Second Row Seats,8.4' Touchscreen Display,50 State Emissions,SIRIUSXM Traffic 2016 Dodge Ram 1500 Laramie 4WD. 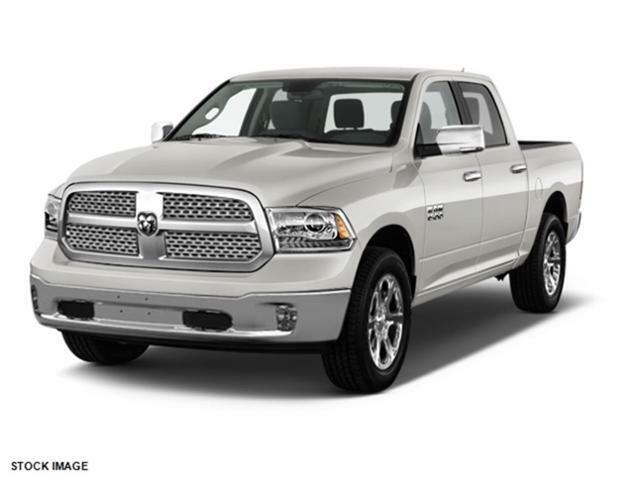 1500 Laramie, Laramie, Introducing the 2016 Ram 1500! Performance, ride, and head-turning good looks! With less than 10,000 miles on the odometer, this is a technologically advanced vehicle for the sport-inclined driving enthusiast! It includes leather upholstery, power front seats, front dual-zone air conditioning, and a split folding rear seat. Smooth gearshifts are achieved thanks to the powerful 8 cylinder engine, and for added security, dynamic Stability Control supplements the drivetrain. Four wheel drive allows you to go places you've only imagined. We have the vehicle you've been searching for at a price you can afford. 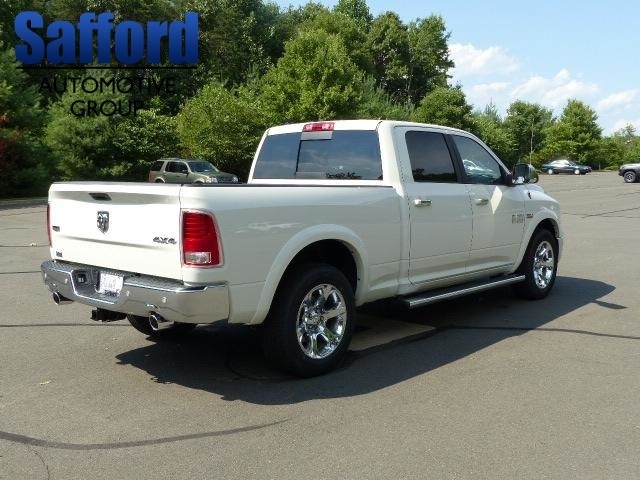 Please don't hesitate to give us a call., Engine: 5.7L V8 HEMI MDS VVT Introducing the 2016 Ram 1500! Performance, ride, and head-turning good looks! With less than 10,000 miles on the odometer, this is a technologically advanced vehicle for the sport-inclined driving enthusiast! It includes leather upholstery, power front seats, front dual-zone air conditioning, and a split folding rear seat. Smooth gearshifts are achieved thanks to the powerful 8 cylinder engine, and for added security, dynamic Stability Control supplements the drivetrain. Four wheel drive allows you to go places you've only imagined. We have the vehicle you've been searching for at a price you can afford. Please don't hesitate to give us a call. 1500 LARAMIE, LARAMIE, **LEATHER**, **BLUETOOTH AND USB CONNECTION**, **1 OWNER**, **CLEAN CARFAX, NO ACCIDENT HISTORY**, **XM/SIRIUS SATELLITE RADIO**, **EXCELLENT CONDITION**, **HEATED STEERING WHEEL**, **ALLOY WHEELS**, **HEATED FRONT SEATS**, **CRUISE CONTROL**, and **CD PLAYER**. 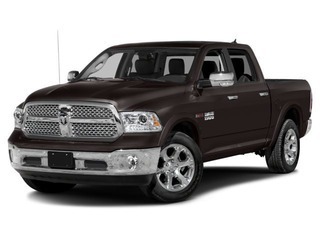 Ram 1500 Laramie, 4D Quad Cab, HEMI 5.7L V8 Multi Displacement VVT, 5-Speed Automatic, 4WD, and Gold. Want to stretch your purchasing power? 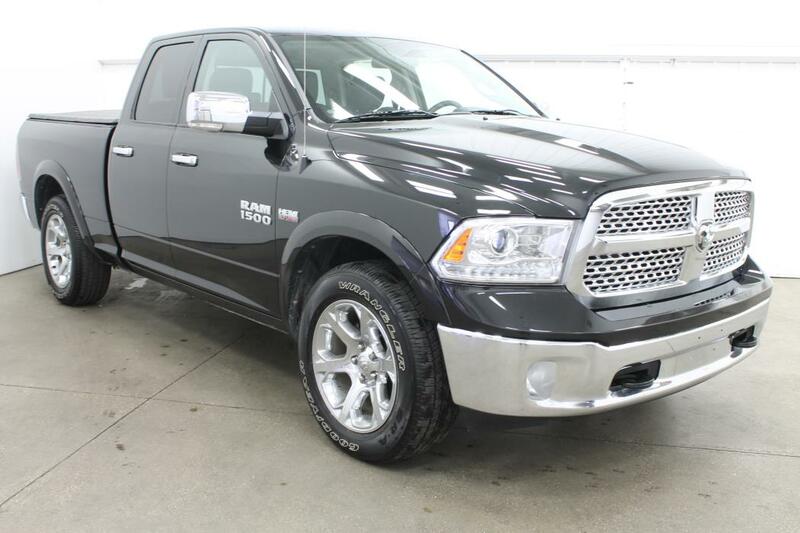 Well take a look at this gorgeous 2011 Dodge Ram 1500. 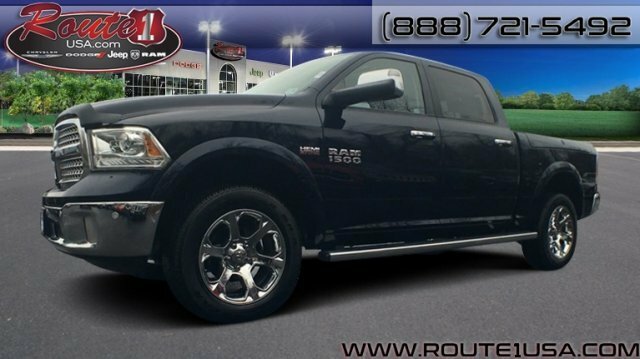 This fantastic Ram 1500 will keep you smiling all the way down road, with comfort and safety to spare. 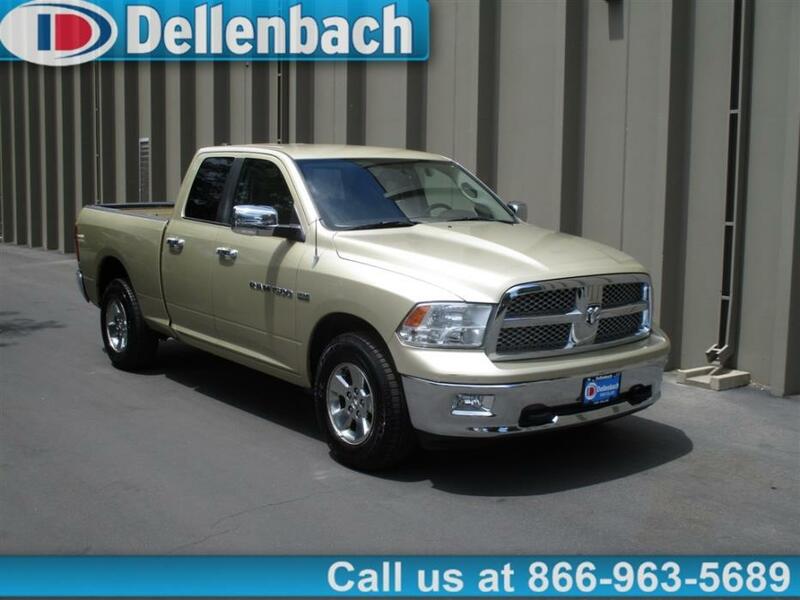 Awarded Consumer Guide's rating of a Large Pickup Best Buy in 2011. New Car Test Drive said it '...has the bold and brash style for which it is well known, and it's a refined package with loads of amenities for the occupants...' Buy from the people you know and trust. Located in Ft. Collins CO, but also serving Loveland, Windsor, Greeley, Timnath, Berthoud, and Longmont. Please call for availability 970-226-2438., **LEATHER**, **BLUETOOTH AND USB CONNECTION**, **1 OWNER**, **CLEAN CARFAX, NO ACCIDENT HISTORY**, **XM/SIRIUS SATELLITE RADIO**, **EXCELLENT CONDITION**, **HEATED STEERING WHEEL**, **ALLOY WHEELS**, **HEATED FRONT SEATS**, **CRUISE CONTROL**, and **CD PLAYER**. 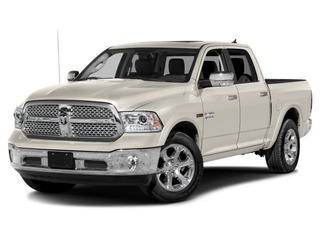 Ram 1500 Laramie, 4D Quad Cab, HEMI 5.7L V8 Multi Displacement VVT, 5-Speed Automatic, 4WD, and Gold. Want to stretch your purchasing power? 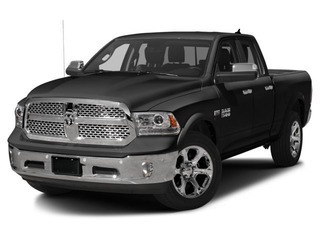 Well take a look at this gorgeous 2011 Dodge Ram 1500. 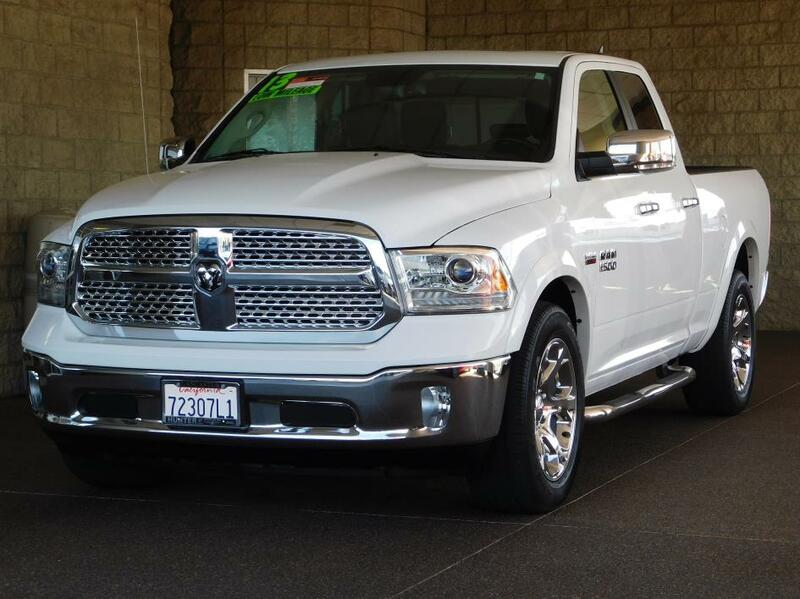 This fantastic Ram 1500 will keep you smiling all the way down road, with comfort and safety to spare. Awarded Consumer Guide's rating of a Large Pickup Best Buy in 2011. New Car Test Drive said it '...has the bold and brash style for which it is well known, and it's a refined package with loads of amenities for the occupants...' Buy from the people you know and trust. Located in Ft. Collins CO, but also serving Loveland, Windsor, Greeley, Timnath, Berthoud, and Longmont. Please call for availability 970-226-2438. 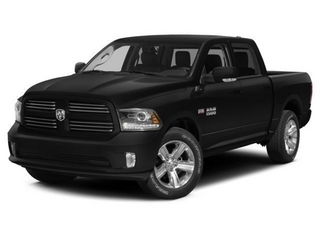 1500 Laramie, Laramie, Climb inside the 2015 Ram 1500! This vehicle delivers the thrill of sport-oriented motoring in a value-oriented package. Prepare to be impressed! It includes power seats, a rear step bumper, automatic dimming door mirrors, and seat memory. Smooth gearshifts are achieved thanks to the powerful 8 cylinder engine, and for added security, dynamic Stability Control supplements the drivetrain. Four wheel drive allows you to go places you've only imagined. We pride ourselves in consistently exceeding our customer's expectations. 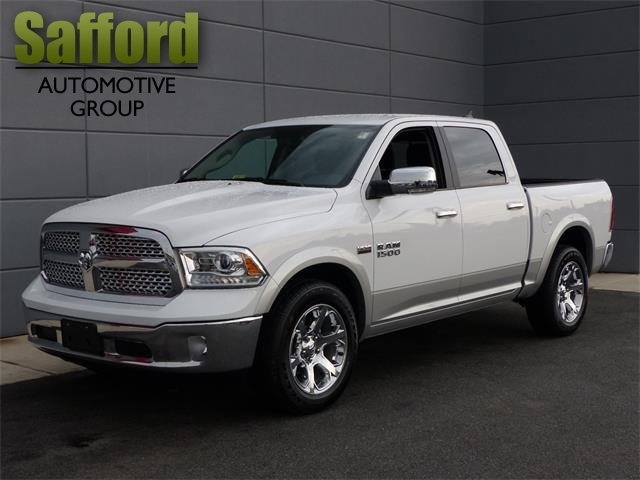 Please don't hesitate to give us a call., Engine: 5.7L V8 HEMI MDS VVT Climb inside the 2015 Ram 1500! This vehicle delivers the thrill of sport-oriented motoring in a value-oriented package. Prepare to be impressed! It includes power seats, a rear step bumper, automatic dimming door mirrors, and seat memory. Smooth gearshifts are achieved thanks to the powerful 8 cylinder engine, and for added security, dynamic Stability Control supplements the drivetrain. Four wheel drive allows you to go places you've only imagined. We pride ourselves in consistently exceeding our customer's expectations. Please don't hesitate to give us a call. 1 Owner**, Leather Seats**, Clean AutoCheck History Report**, Bluetooth**, Remainder of Factory 3/36 and 5/100 Powertrain Warranty**, and Heated Seats**. 4WD. This stout 2015 Dodge Ram 1500 is the truck that you have been trying to find. 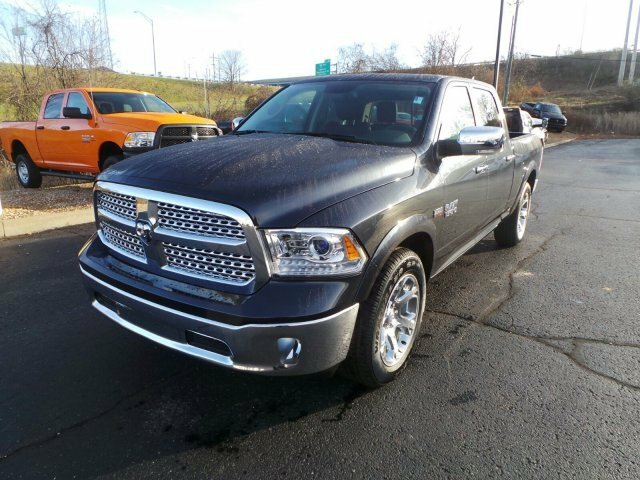 Sometimes the fun doesn't begin until the pavement ends, which helps make the off-road ability of this Ram 1500 Laramie so appealing. We will pay top dollar for your car, even if you don't buy one from us! Don't make a $2000 mistake! Be sure to check with us before you buy!